I want to know…who is excited for summer to begin!? The Pacific Northwest has given us a roller coaster of a winter and just doesn’t seem to want to let go of the rain, but there is light at the end of the tunnel and that light comes in the form of car season. In preparation of the summer (that is welcome to show up any time now) I thought I put out a summer setup guide for all you car enthusiast to consider. This week I’m going to start with suspension and handling, then move on to power and styling in the coming weeks. Grab a beer, take a seat and let’s get started. For the sake of helping car enthusiast at any level of modification, let’s pretend I just bought a brand new 3rd Gen Mazda 3; a clean slate to modify and define as my own. I have had the car about a month now and love it. I’ve put it through its paces on the back roads and really appreciate what it can do in stock trim, but I’m ready for more. Now here comes the first big decision; what do I do first? This could be highly debated and I’m sure there are many paths to success so I’m just going right to how I would proceed, but first some technical backstory. Going through college and being a major part of the Portland State Formula SAE program, I was taught that suspension that moves is a suspension that works. Long story short, slamming the car to the ground with overly stiff coils is not the path to a compliant suspension that also performs. There are three major aspects to your vehicle’s suspension: bump, roll stiffness, and damping. Bump (and/or squat) are mainly managed by the spring rates. Stiff springs are great for the track where you have a very smooth and consistent surface, but out on the public streets this is not the case so let’s not go crazy with the spring rates. Next is the roll stiffness of the vehicle. This is managed by the springs and the swaybars, but ideally mostly by the swaybars. Sway control is important to keep the body roll in check while entering, apexing, and exiting a corner as well as many other vehicular maneuvers. The front and rear roll stiffness also dictate the oversteer and understeer characteristics of the vehicle so this can be a major tuning tool. Lastly is the damping of the struts and shocks. 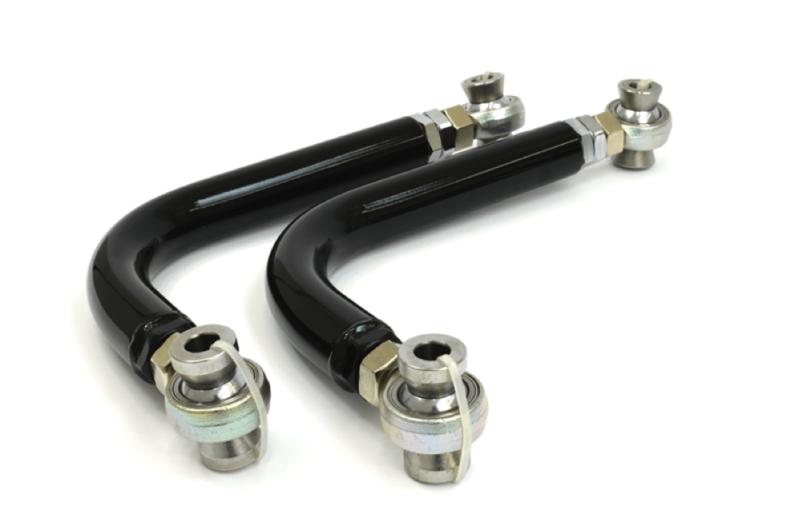 This is the fine tuning of the springs and sway bars and also the main reason why your car does not continually oscillate up and down like a boat after hitting a bump. These are very important. First modification I would do is…swaybars! Here’s why. Bumping up the roll stiffness has two major benefits. First, it’s a great way to “tidy up” the body movement without adding much harshness to the ride quality so you’re not giving up much for this modification. Second, most passenger cars are setup to understeer from the factory. There’s good reason for this as the solution to control understeer is to apply the brakes which is most people’s automatic response in an adverse situation. If you’re more experienced, then getting the car to a more balanced under/oversteer setup will be great. The vehicle will be much more alert and predictable. Side note: to me both of the benefits mentioned above also inspire more confidence while driving which is a huge bonus. The next modification I would do is a set of performance springs and shocks/struts. I really suggest doing these at the same time because that is how you are going to get the most out of them. The performance springs are going to add a bit more roll stiffness and bump/squat control while also lowering the car a bit which will help with the center of gravity. You will sacrifice some ride quality, but your car is going to feel like it’s on rails. (Earlier I said don’t go to stiff and that holds true, most performance springs range from 10%-40% stiffer than OE which is usually still softer than a coil over setup). 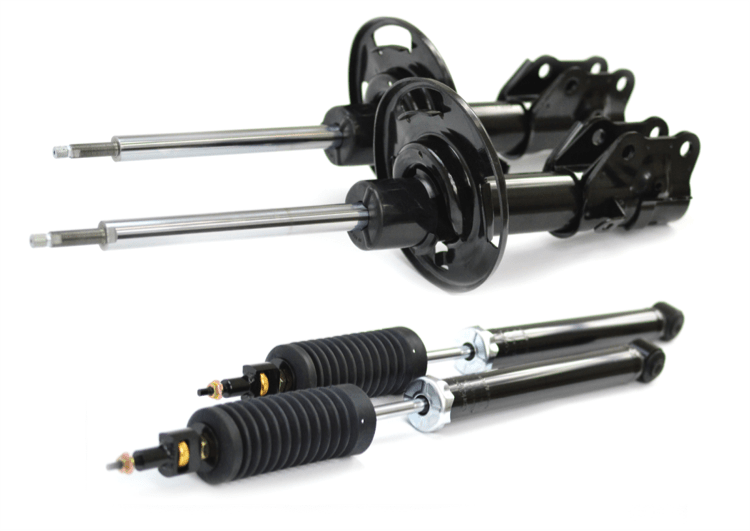 Now the shocks/struts combo is important because with the higher spring rate you will need more damping to keep it under control and with the rebound adjustability you will be able to fine tune the damping. It’s a win-win. Now you’re probably wondering if these can be broken down and purchased separately. Yes they can. There is no issue with purchasing the shocks/struts first as they will complement the swaybars and work fine with the OE springs. 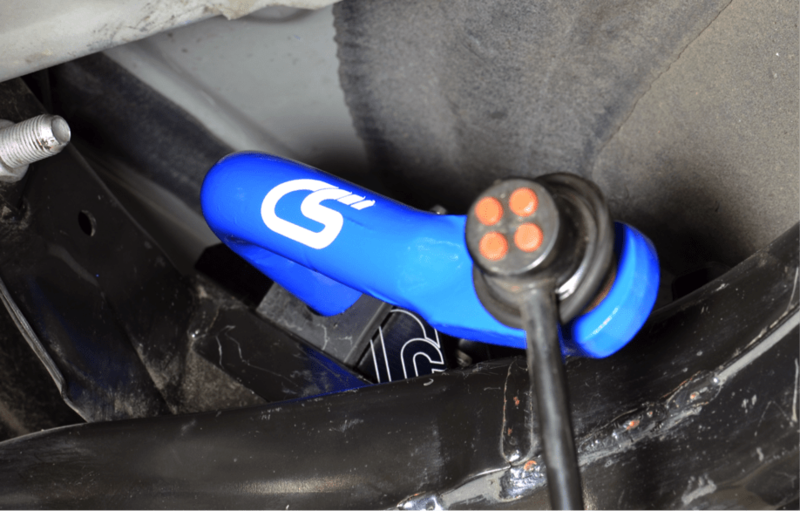 For example, the CorkSport Adjustable Shocks/Struts are design with this in mind. The softest rebound setting basically matches OE damping, but you also have the adjustment range of up to 70% stiffer rebound to accommodate fine tuning and stiffer performance springs. Now doing the springs first may result in some compromise. Due to the stiffer spring rate you will have a bit bouncier ride quality since the OE damping was not designed for the higher spring rate, but you will survive, I promise. So if you need to break it into chunks then I would start with the shocks/struts first. Do note that its recommend you get some rear cambers arms and front camber plates with lowering springs so you can get the camber back to OE specs or to have the ability to set the camber. Lastly and arguably the most important handling modification is tires! If you have never indulged in a set of high performance tires then wow, you don’t know what you are missing. 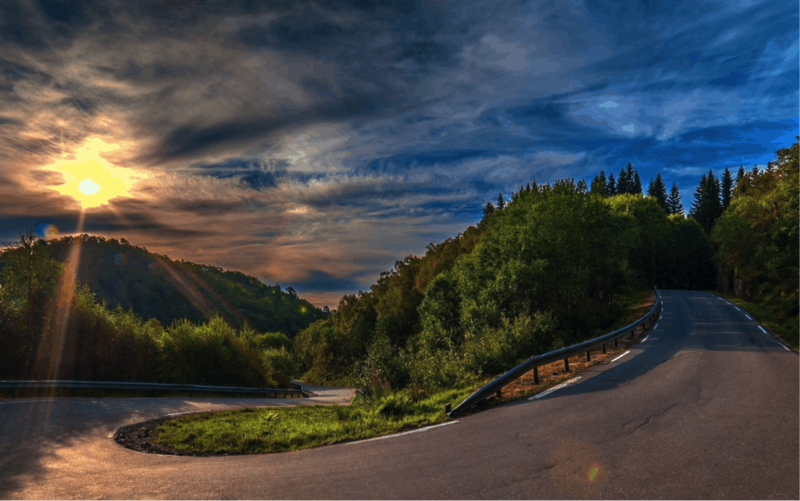 Tire technology has improved leaps and bounds over the last decade and because of that there are many performance all –season tires available, but a jack of all trades is a master of none. I highly suggest this tire and wheel combination. Get yourself a set of performance wheels (I know there are atleast a few brands that can be had for less than ~200/wheel and weight less than 20 lbs each) and throw some high performance or ultra high performance tires on them for the summer. These tires are usually in the 200-300 treadwear rating and cost 2-3 hundred each depending on size. Do this NOW! I’m serious! And keep you OE wheels for some dedicated winter tires which again will blow you away with how much better they are than all-seasons. Let’s wrap this up with one last suggestions if everything above isn’t enough for you. Brakes… The best way to go fast is with better brakes. There are a few options you can take here. 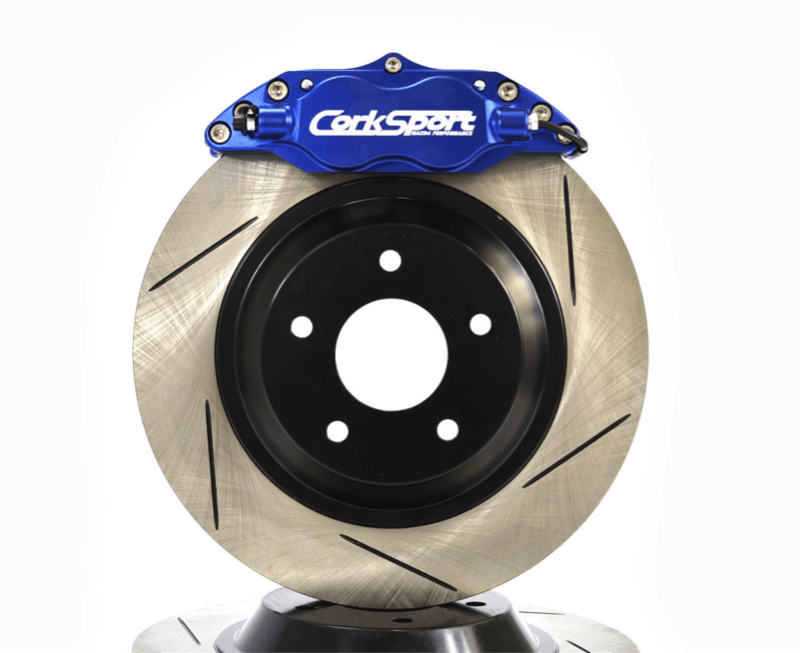 A set of performance rotors and pads would be a great budget friendly setup with great benefits. If you want to step it up even further than I suggest a Big Brake Kit like the one above. Performance breaks are a great addition to any vehicle for both performance and safety. Performance wise you can dive into corners later and harder without worry. Safety wise I think it’s pretty obvious. Have you ever rear-end another vehicle and thought “if only I could have stop five feet sooner”, well there you have it. Alright one last thing before we wrap this up. 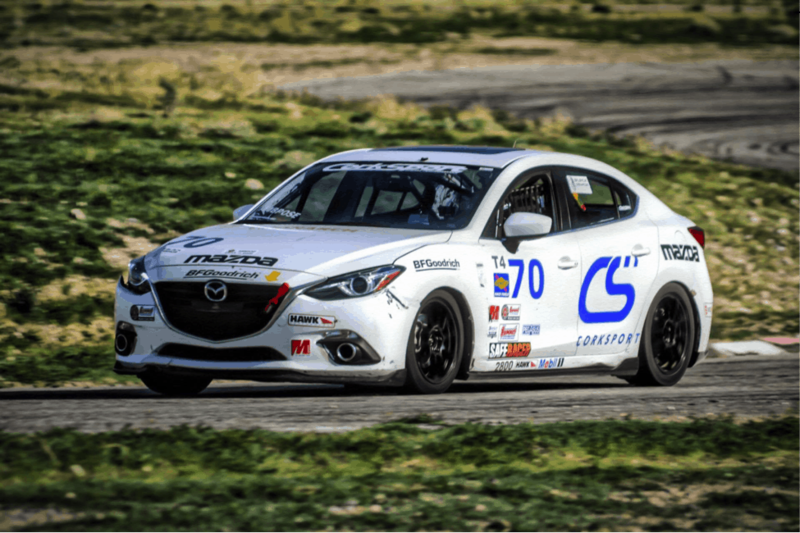 Now that we have a really well setup Mazda 3 go to a track day! Yes, take your daily commuter to the track one day so you can find you and your car’s limits. I can express this enough. First off its so much FUN! Really it’s a blast and it’s safe. Most track days like High Performance Driving Education (HPDE) events even provide you with an instructor. This also gives you a chance to safely push the car to the limits and even past them. This provides much more confidence on the public roads and avoiding accidents. Alright I’m done. I hope you enjoyed this and look forward to the next blog! I’m going for a drive!